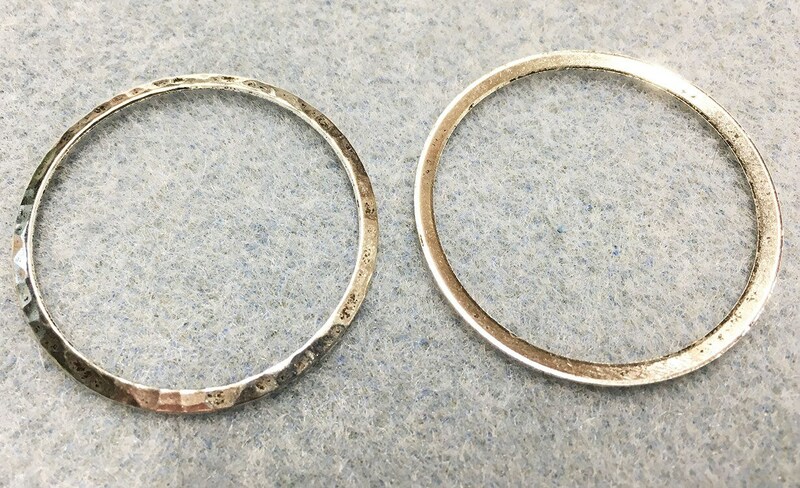 2 large hammered rustic look silver plated vintage look brass rings, 33mm in size. These are solid pieces, hammered on one side and plain on the other side. They are perfect for your earthy or nature inspired designs! You will receive 2 rings with this listing.